A few years ago I heard a story of a someone who discovered she had bedbugs. She lived in a beautiful apartment in New York City, and bed bugs were much more than just an annoying pest — an infestation is comparable to a modern-day scarlet letter. This young lady told me she would have been shunned by friends and barred from visiting people if word got out that she had bedbugs. Her fear of being black-listed was evident as she spoke with me. 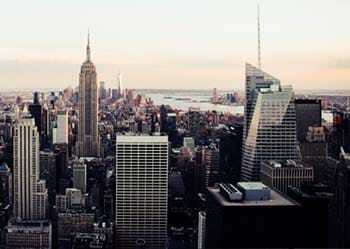 If you haven’t experienced the taint of bed bugs in New York City, you don’t know how distressing it can be. She frantically tried everything she could think of: sprays, steam, an exterminator who promised he “would take care of it”. Weeks went by and — in spite of everything she did — the bed bugs persisted. Her fear of being discovered began to take over her life. She eventually heard that heat kills bed bugs, so she closed the curtains and rented a heat chamber for a couple of weeks. She heated around the clock. As much as would fit went in and got heated to lethal temperatures: clothes, mattress and box spring, chairs, couch, rug. She would find plenty of dead bed bugs in items that came out of the heat tent. But the problem wouldn’t go away. The bedbugs were worse than a bad penny. The muggy heat of summer grew, and she started wearing long-sleeve collard shirts to hide the bites. If you successfully only kill all the bed bugs of all mobile life stages (the ones that have already hatched), the problem will return within a couple of weeks when the existing eggs hatch. If you are not successful in killing all the mobile bed bugs, it only takes a breeding pair to recreate the colony. Anything less than a 100% kill of all bedbugs and eggs will not end the infestation or your frustration. I wanted to take the time to thank you for treating and ridding our house of bedbugs! As you know it takes five days for the eggs to hatch so Linda and I waited five days from when you treated. We wanted to let you know that we have not seen, or been bitten by a bedbug since your treatment. Linda is out of town now or she would call you and thank you in person. I will personally voice my satisfaction with the way your product worked so quickly and took care of the problem we have been dealing with for over eight months and with NO chemicals. Again thank you for a solution to a problem that not many people knew how to deal with. Heat kills insects and their eggs naturally. Temperature measurement is the key in knowing you achieved a 100% kill. The cool, dark places where bed bugs hide and lay their eggs must be raised to 140°F and held for two hours. 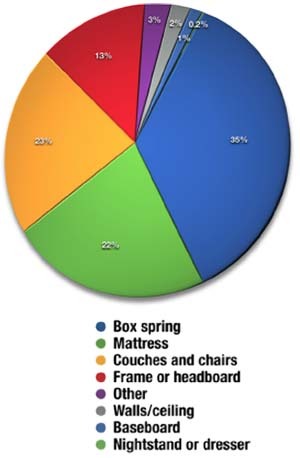 Bed bugs don’t live on the surface of our world, they inhabit the spaces deep within our stuff. To know you’ve reached lethal temperatures, you need to measure at the hardest-to-heat locations. It is so important to give you the knowledge and tools you need to achieve that 100% kill, all of our packages include our flash video training at no additional cost. 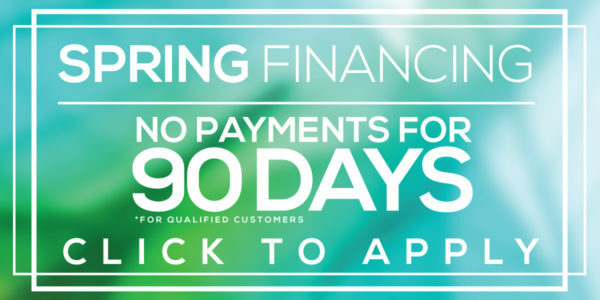 Additionally, we include our Master Heat Technician Certification with every heat package priced $1999 and up. It’s an $899 value. Training is a key differentiator between GreenTech Heat Solutions and the competition. For a homeowner, investing more than $2,000 on a heat treatment system may seem like an unwanted or unwarranted expense when there are so may cheaper alternatives. There are not many guarantees in life, but I promise you will never recover your lost time and undo the frustration from underperforming bed bug products. As our young New Yorker discovered the hard way, our discreet electric heat packages are often the least expensive and quickest solutions to exterminating bed bugs. We do not provide heat treatment services. 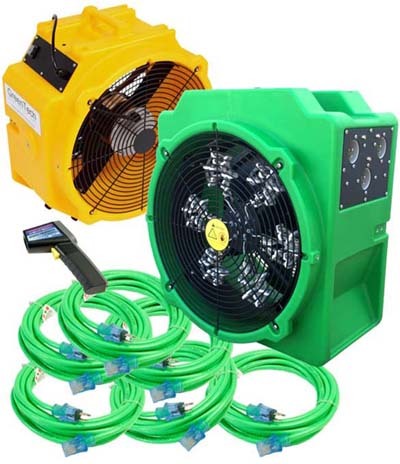 GreenTech Heat designs, manufactures, and sells portable electric and propane heaters, fans, and treatment accessories specifically designed for the efficient killing of all insect pests, especially bed bugs and their eggs. In some cases, owning our equipment has a lower total cost and greater timeliness than utilizing an outside service. Click here for a list of service providers. 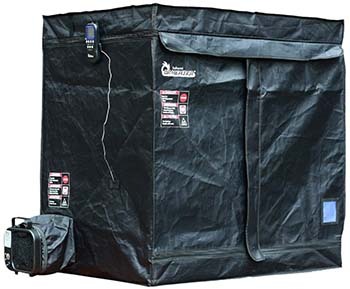 5/15 Getting better bed bug heat treatment results: Why probe during heat treatments? 3/9 Can bedbugs migrate out of an electric heat treatment? Bedbugs can use the utility cart to hitchhike between rooms in a hotel or motel. When treating a room, place the utility cart and vacuum in the treatment area and use a probe to measure the temperature at the hardest-to-heat area. Advantages: The guest can keep 100% of their belongings. Even laptops can go through the heat treatment. The hotel does not loose any FF&E. Rooms are out of order for one day maximum. Pest control operators use the GreenTech Heat process when servicing their clients with an organic and chemical-free insect treatment alternative with reduced call-backs and improved market differentiation. Because heat kills all insects and their eggs, it is possible to eliminate an infestation at a site in one, single heat treatment. Our equipment will zapp bug and black widow with thermal remediation.